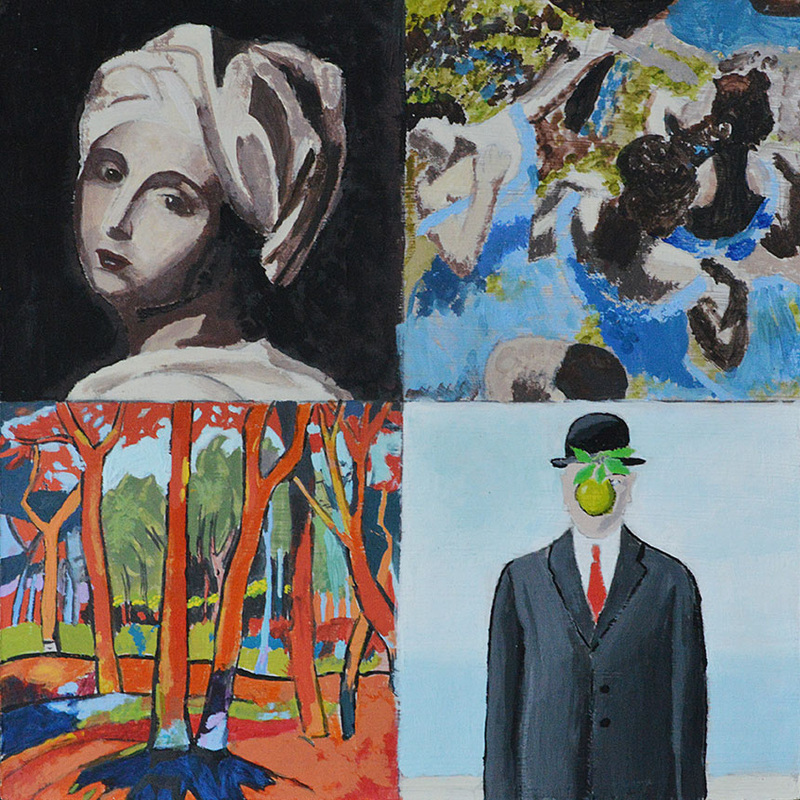 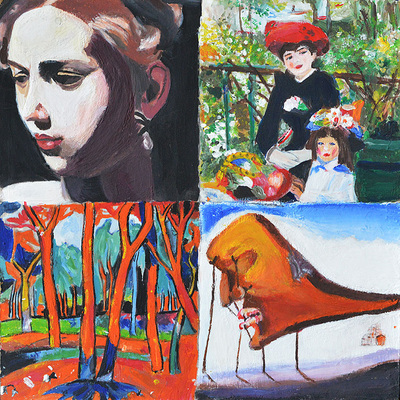 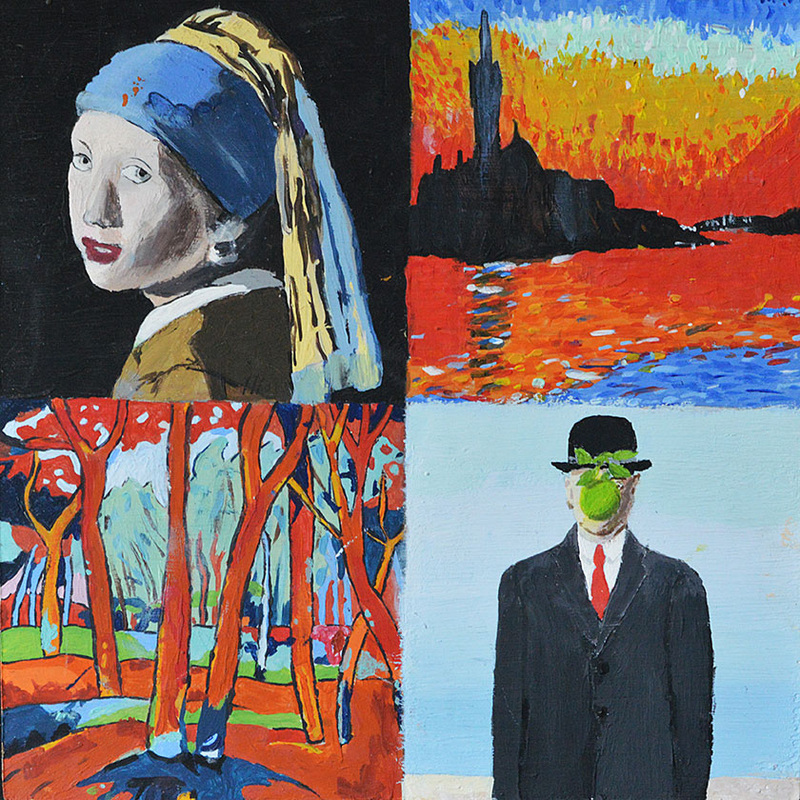 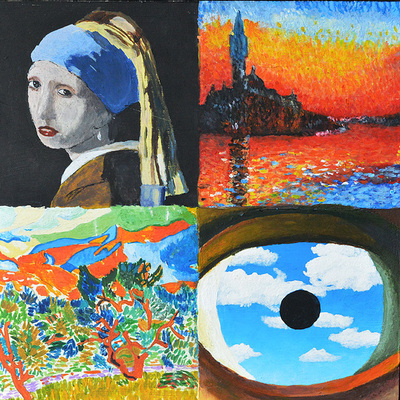 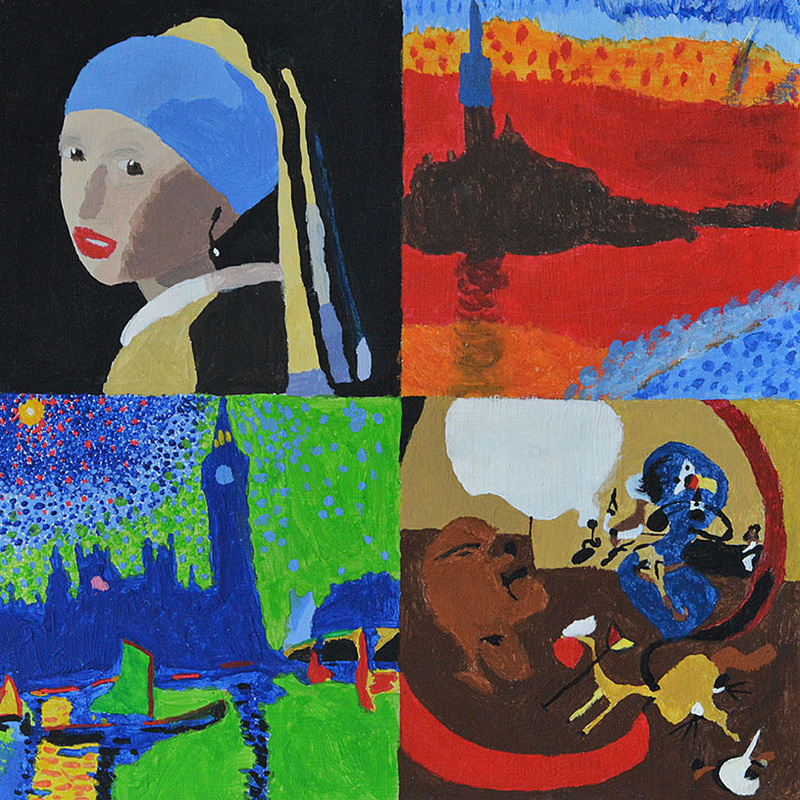 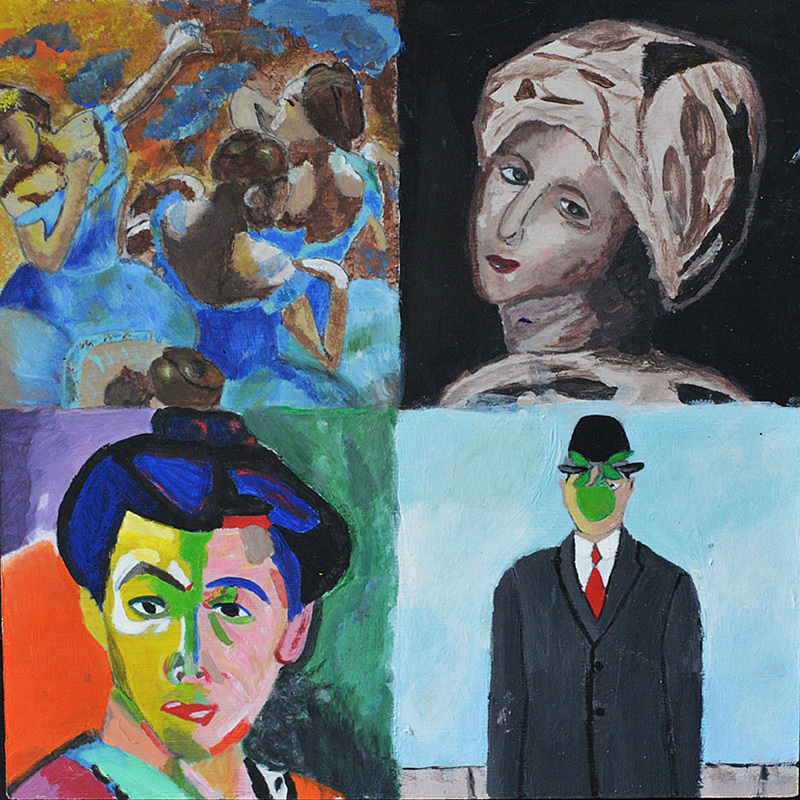 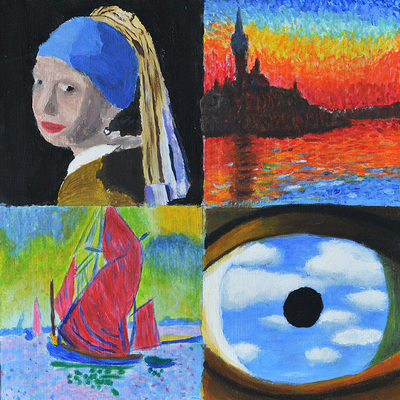 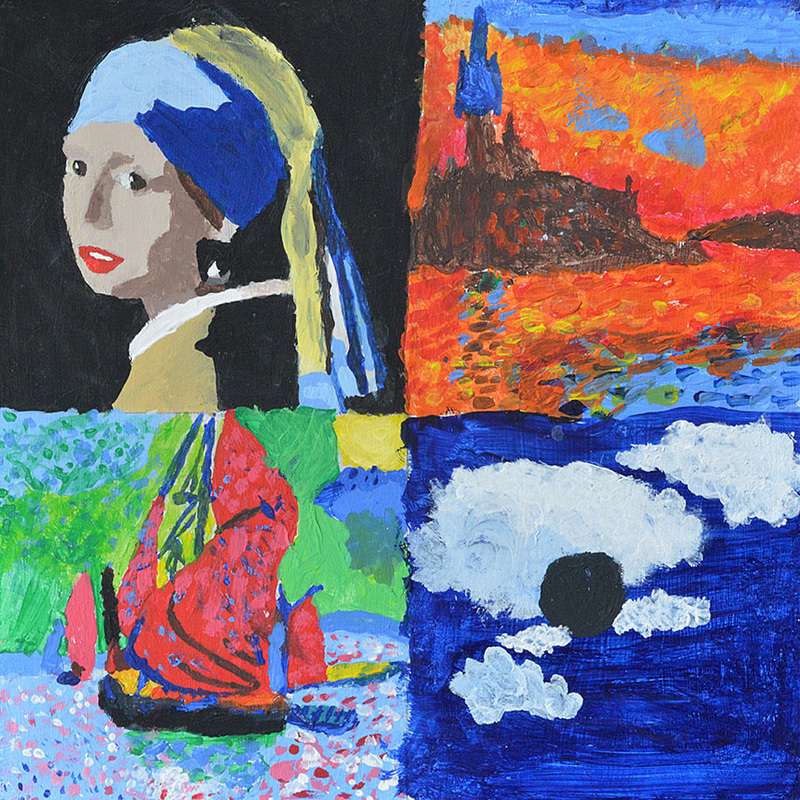 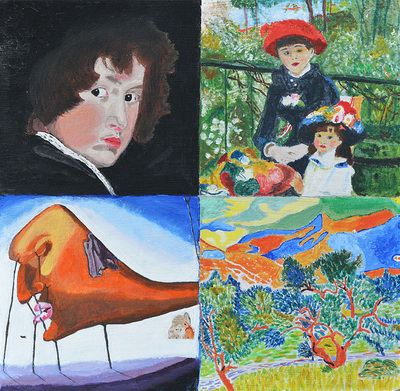 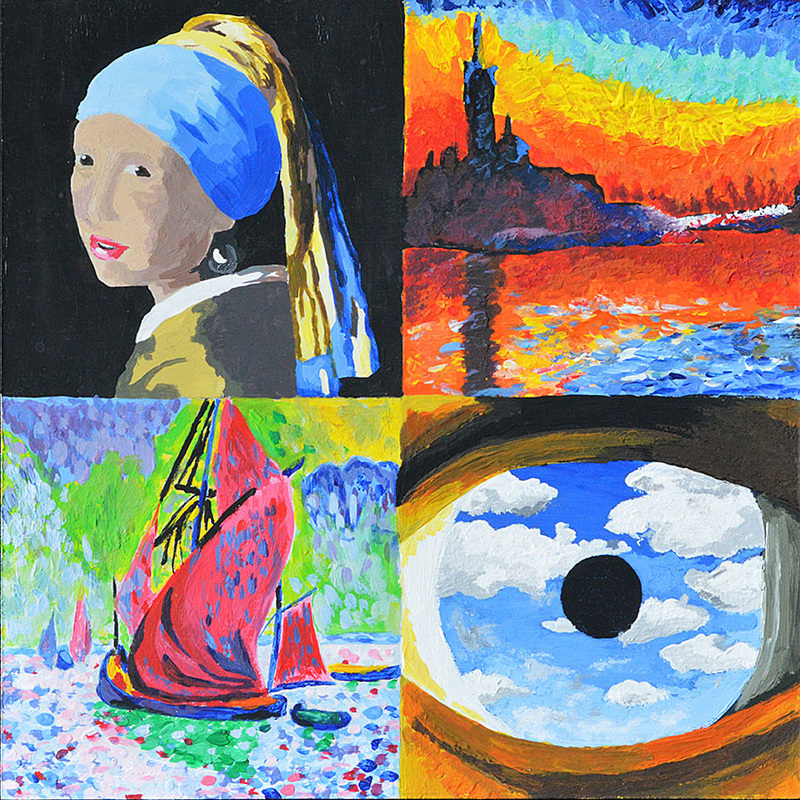 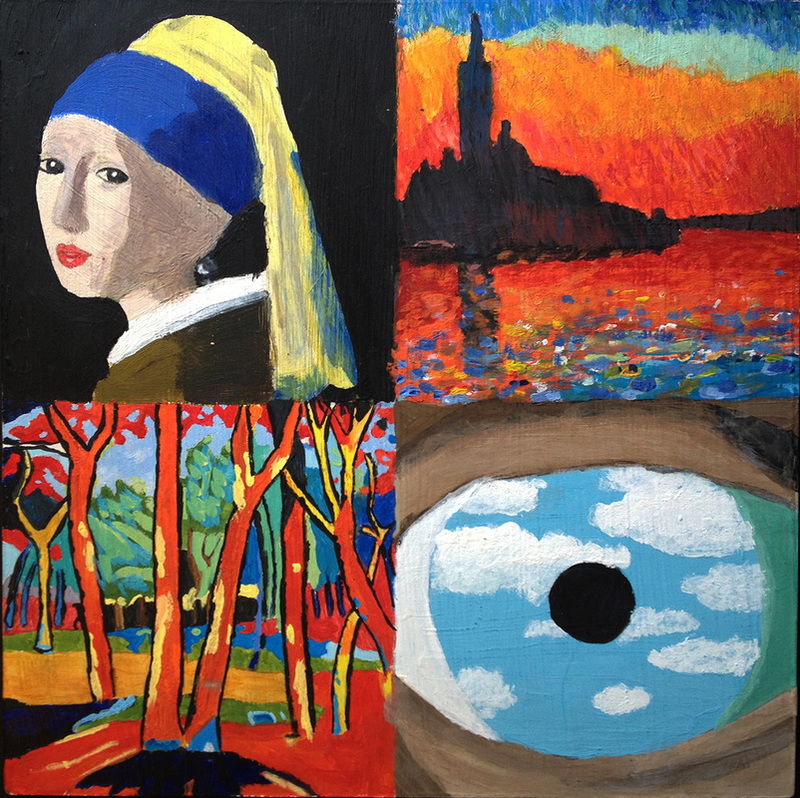 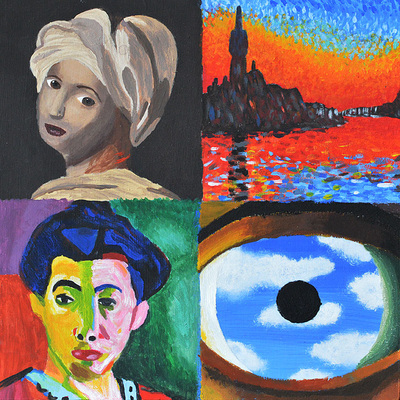 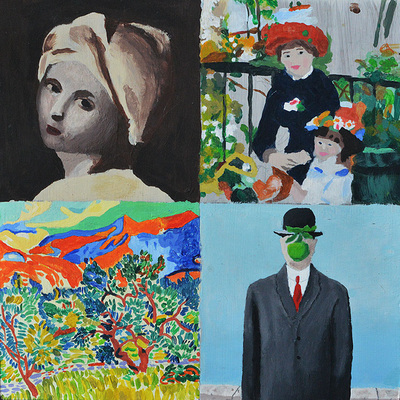 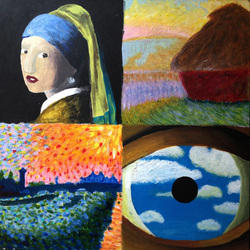 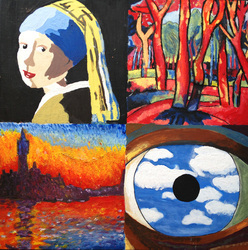 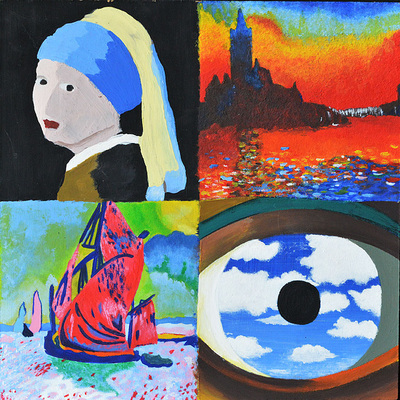 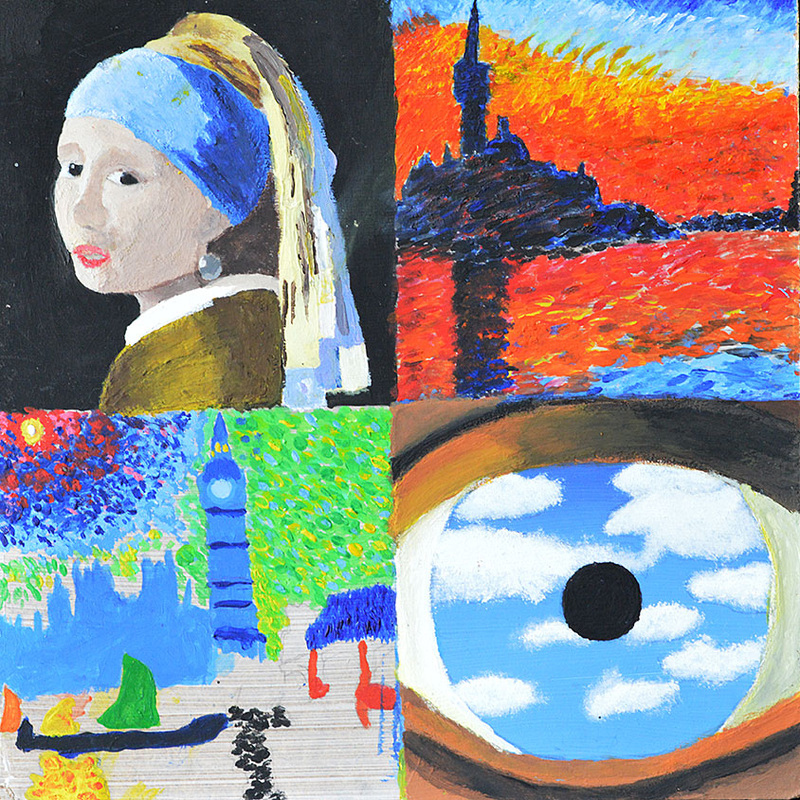 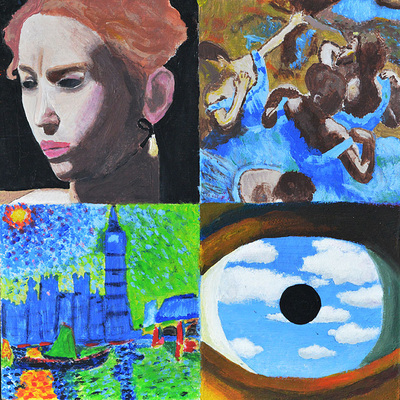 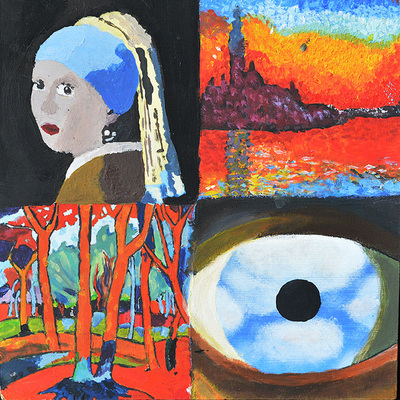 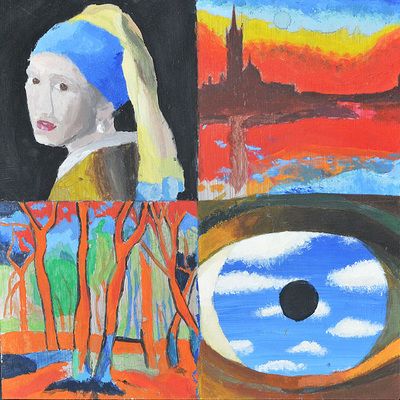 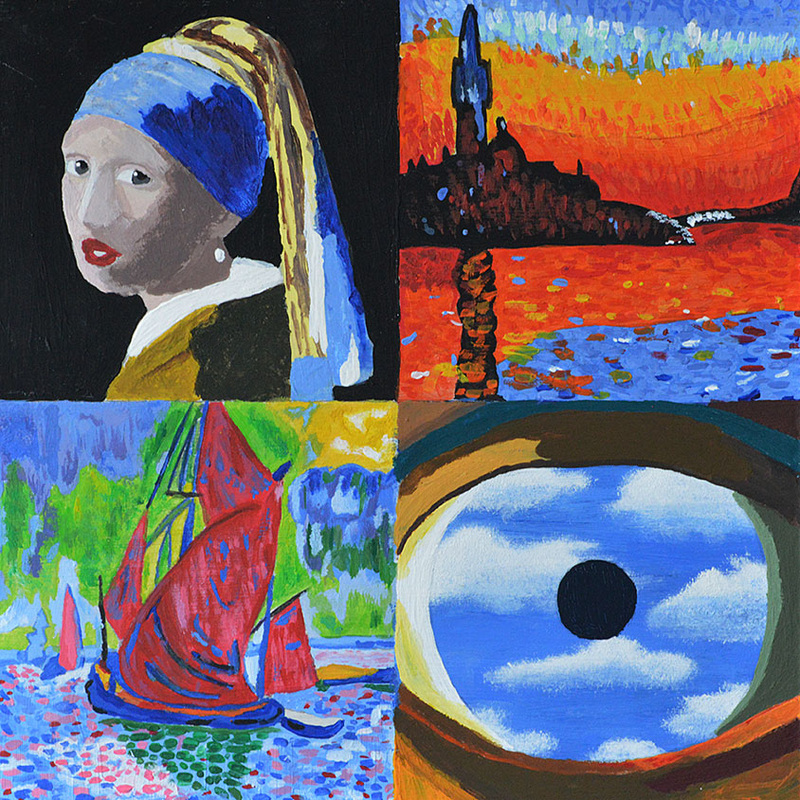 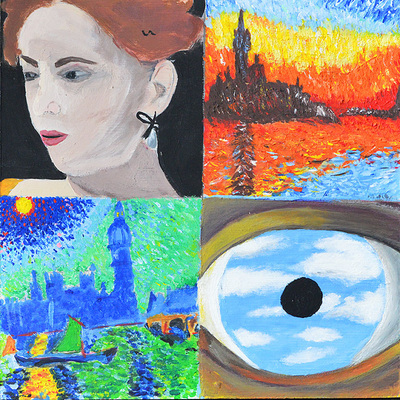 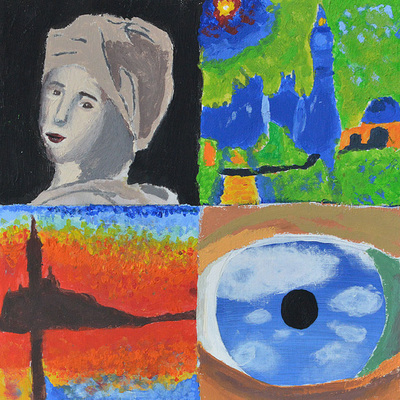 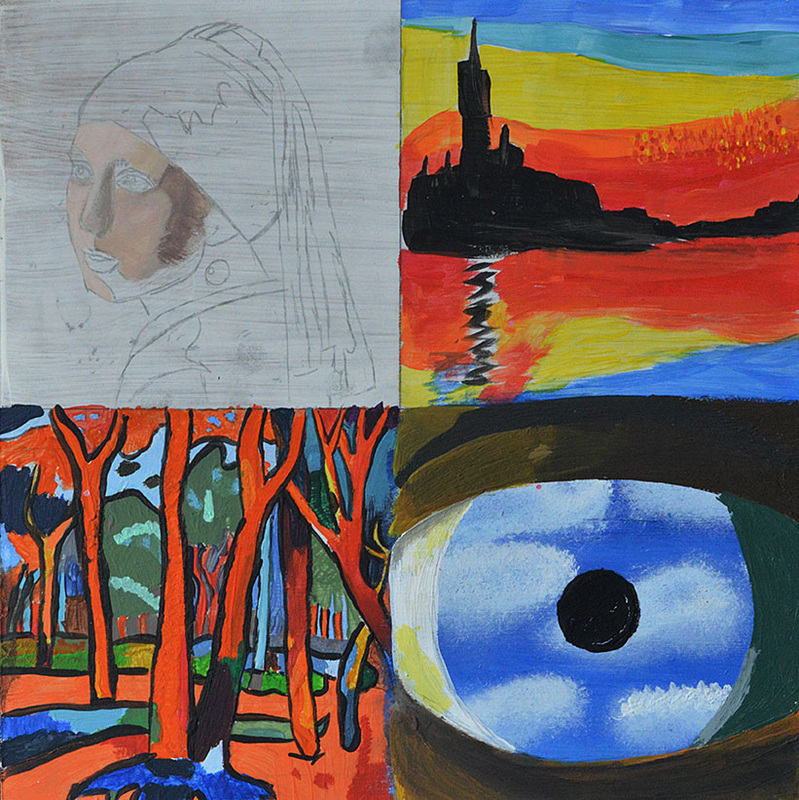 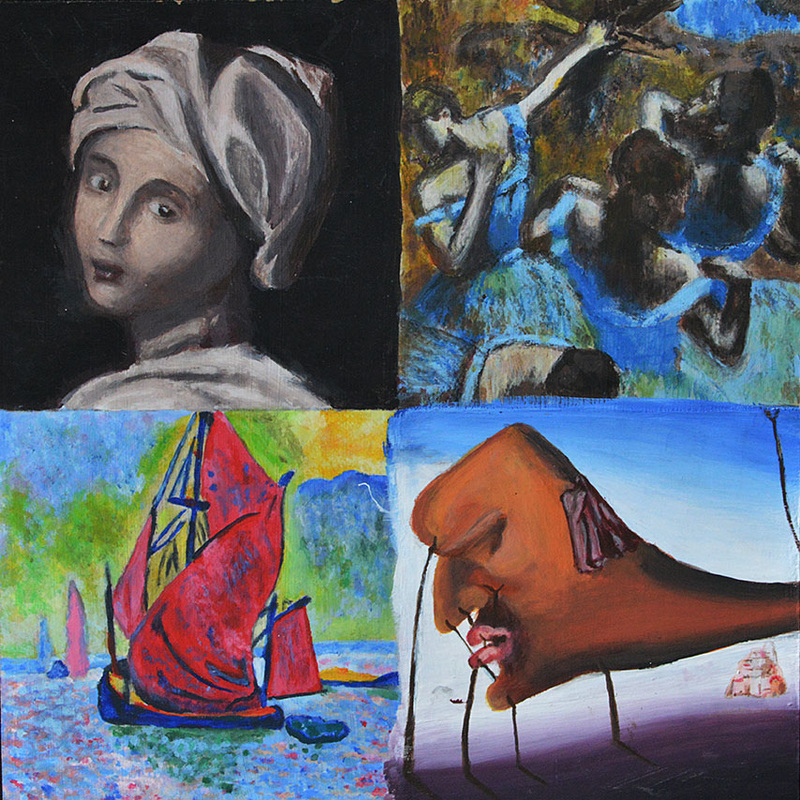 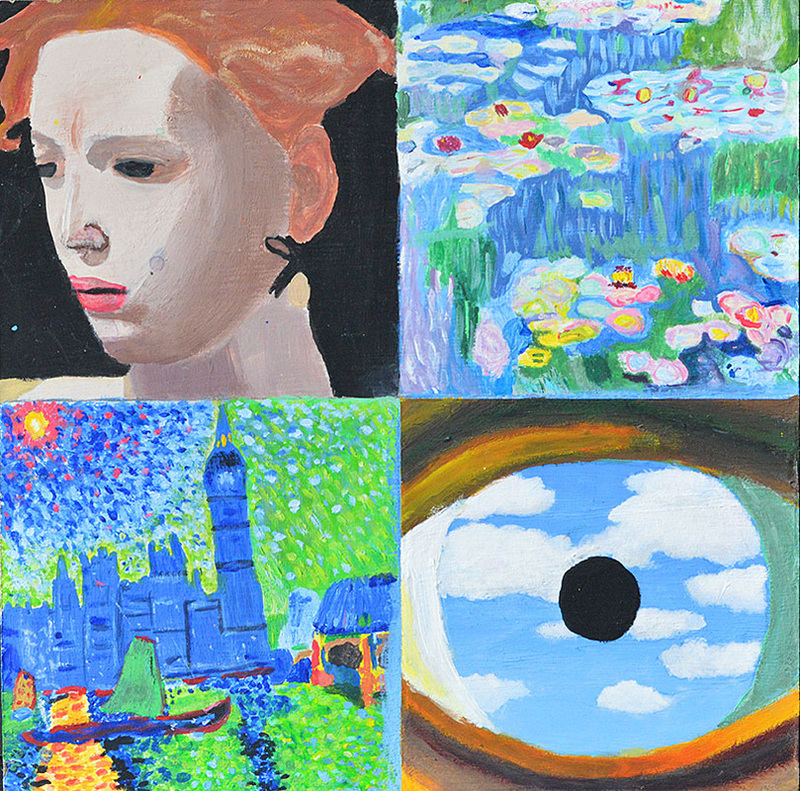 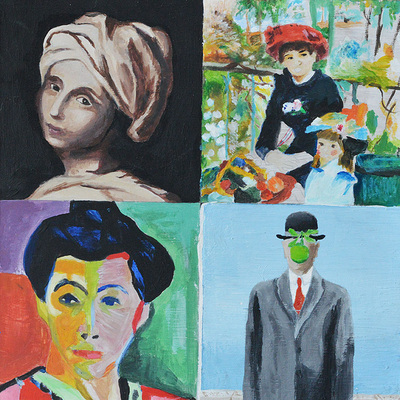 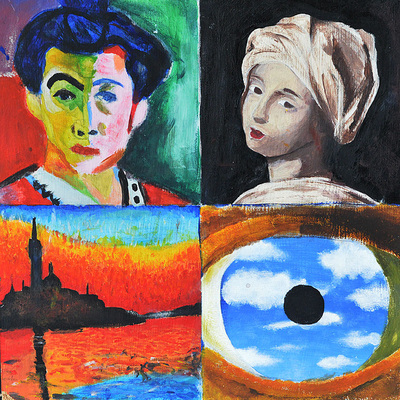 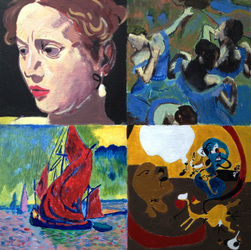 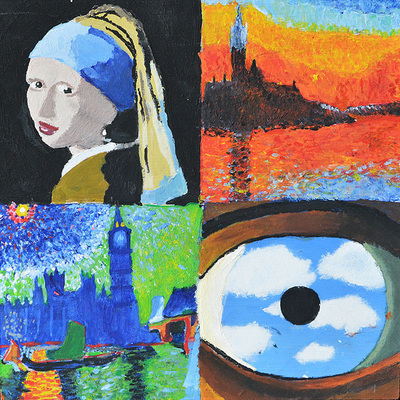 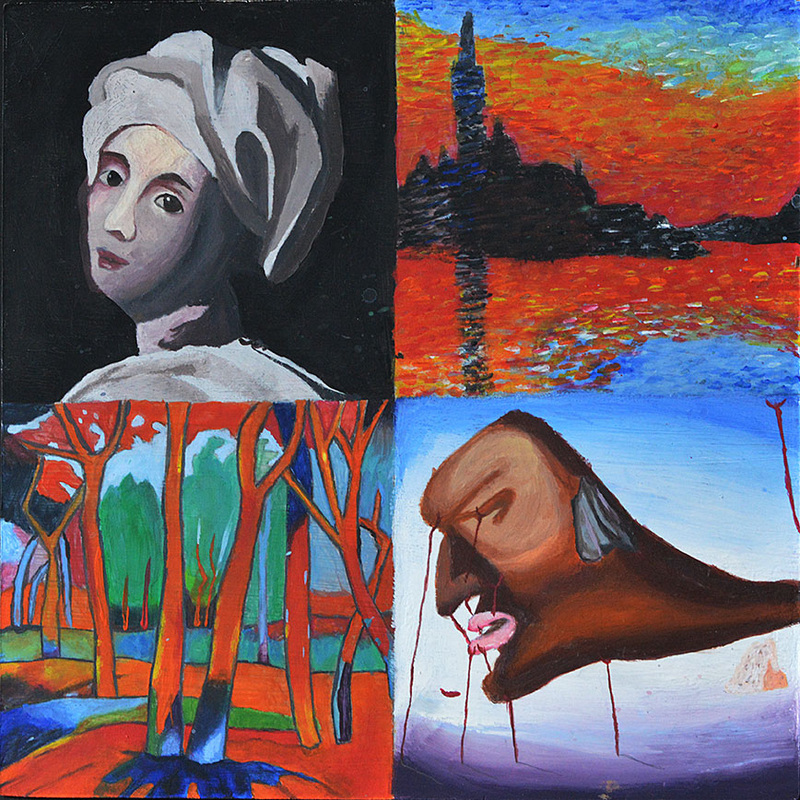 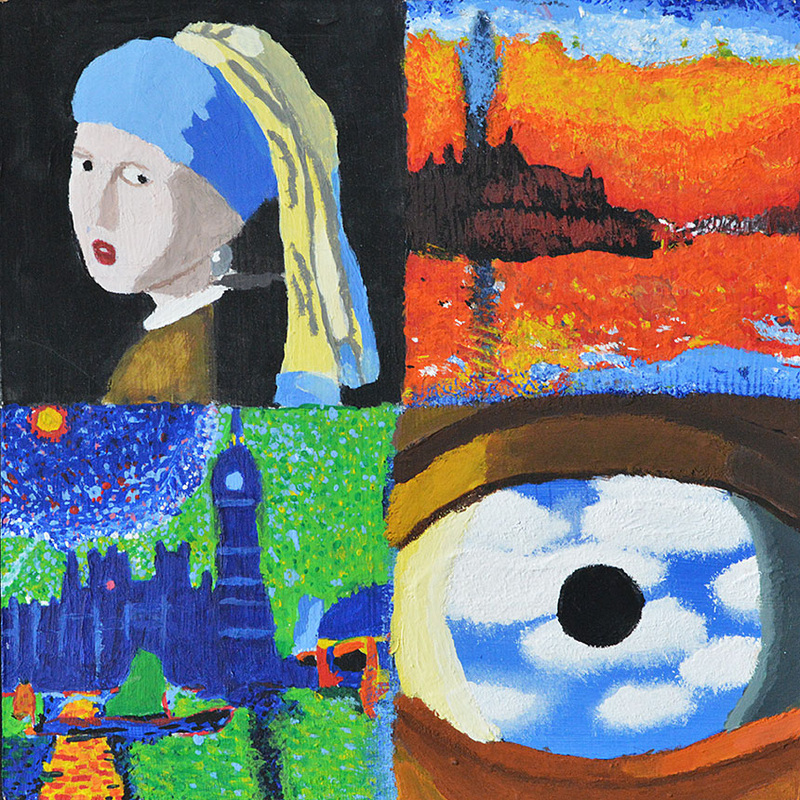 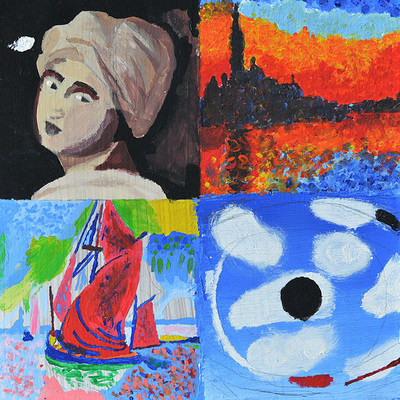 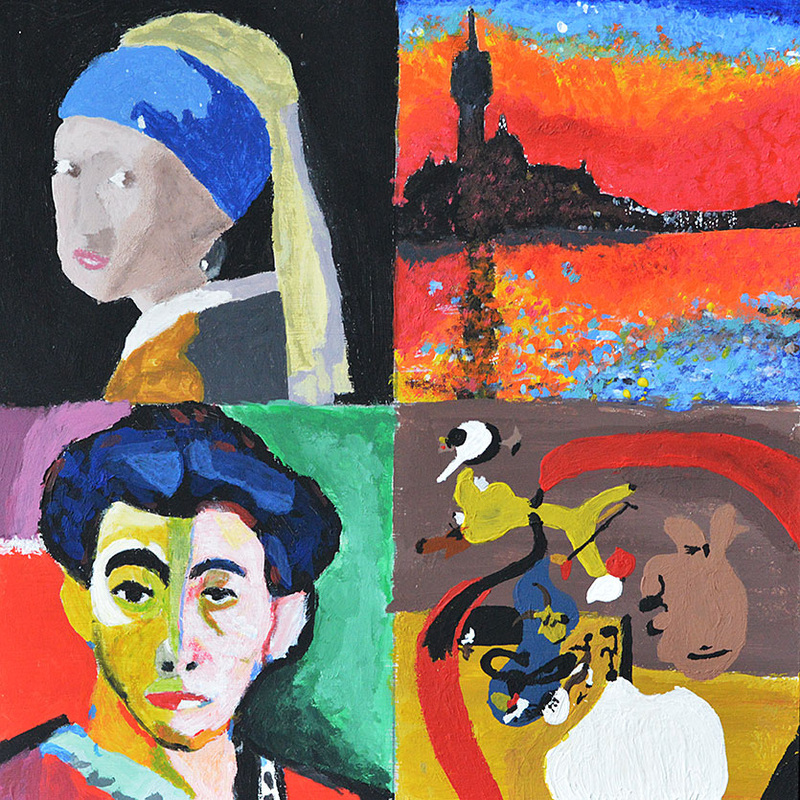 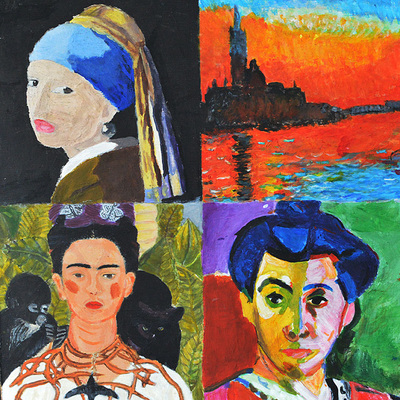 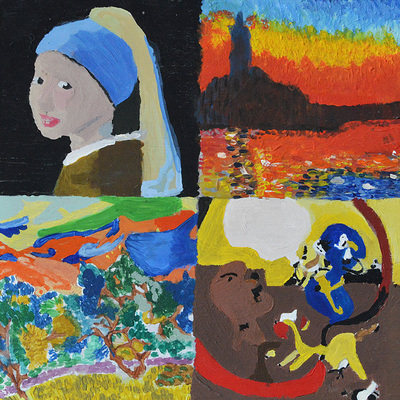 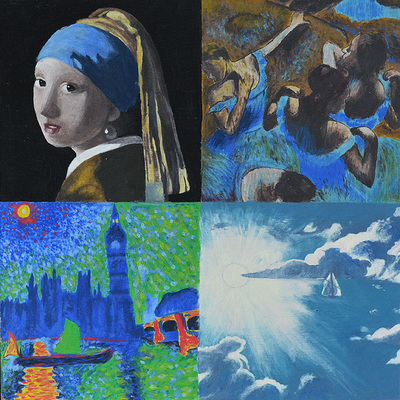 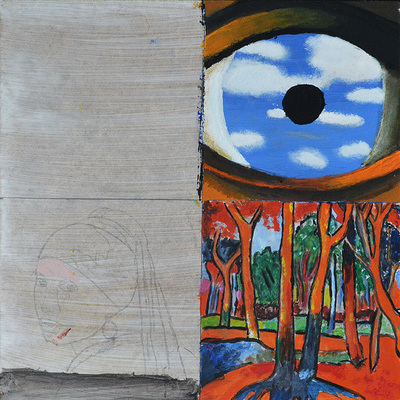 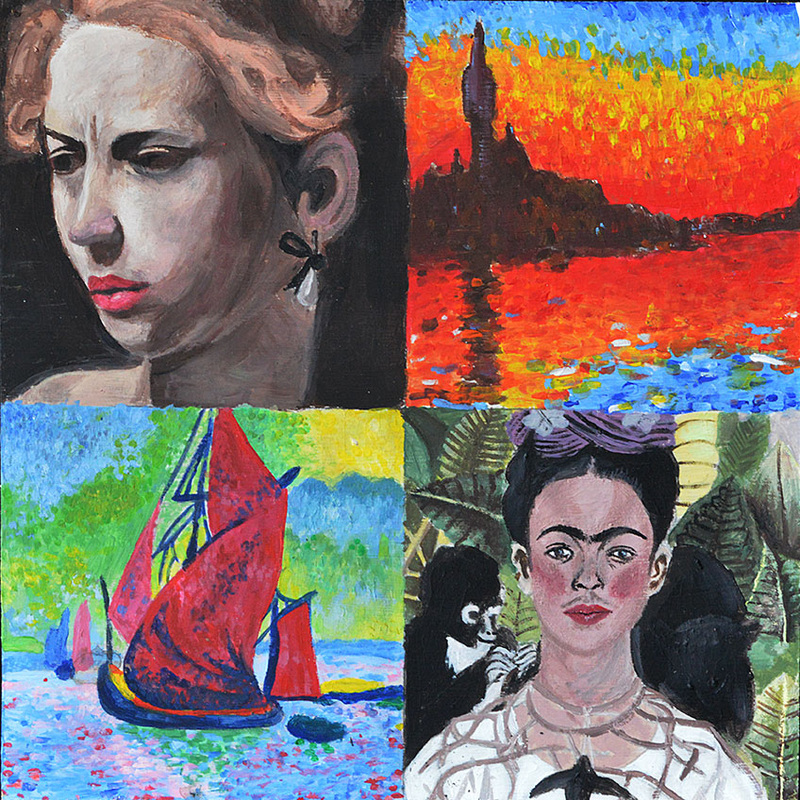 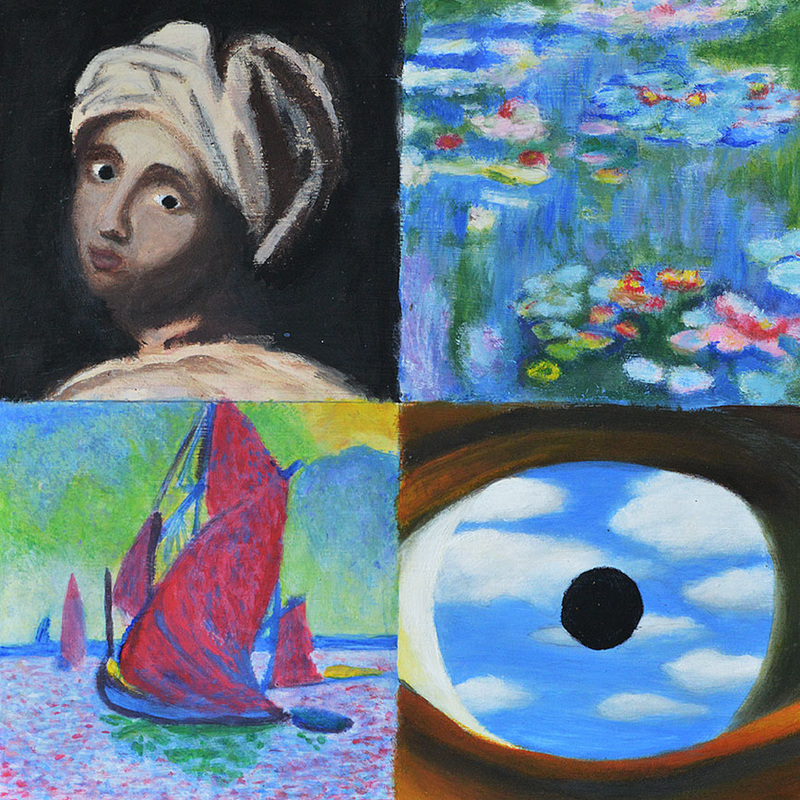 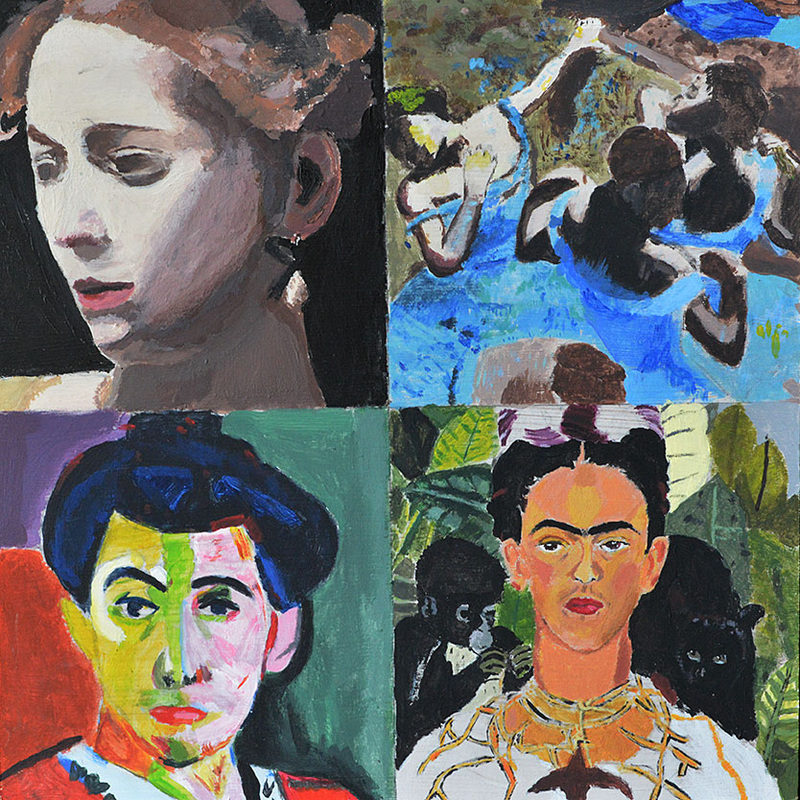 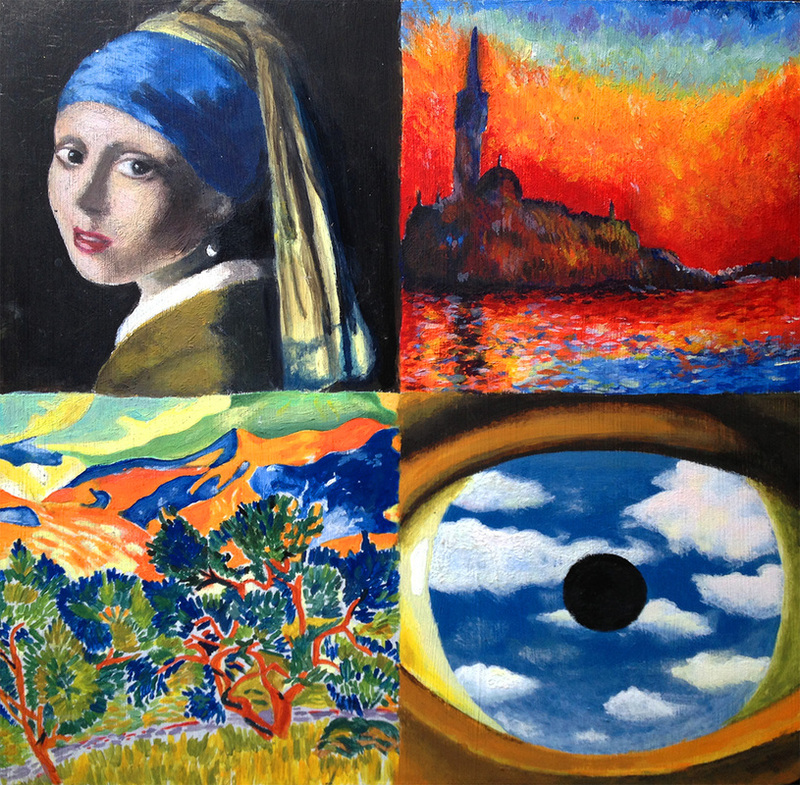 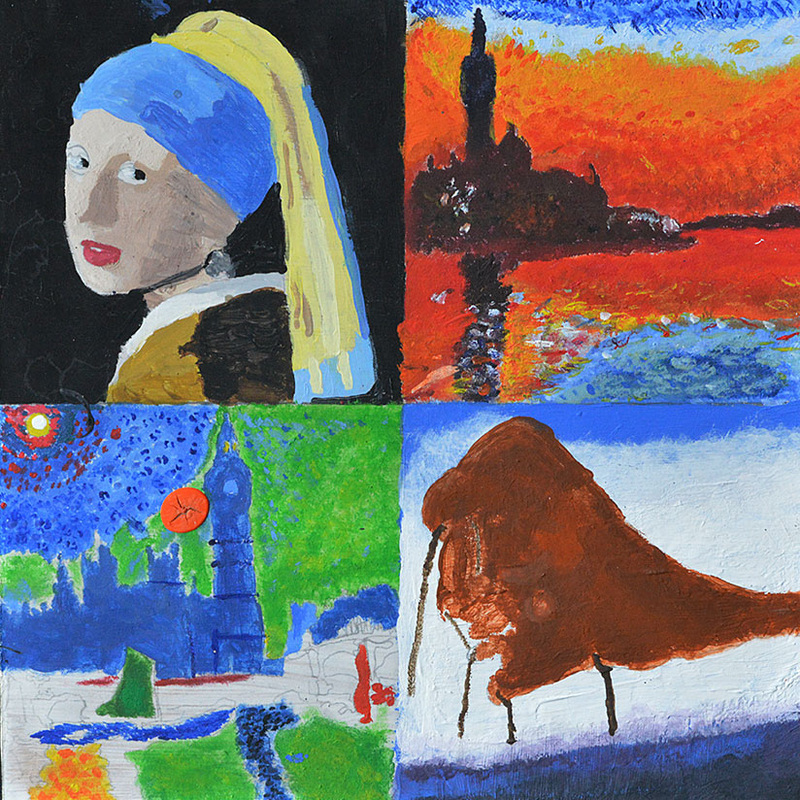 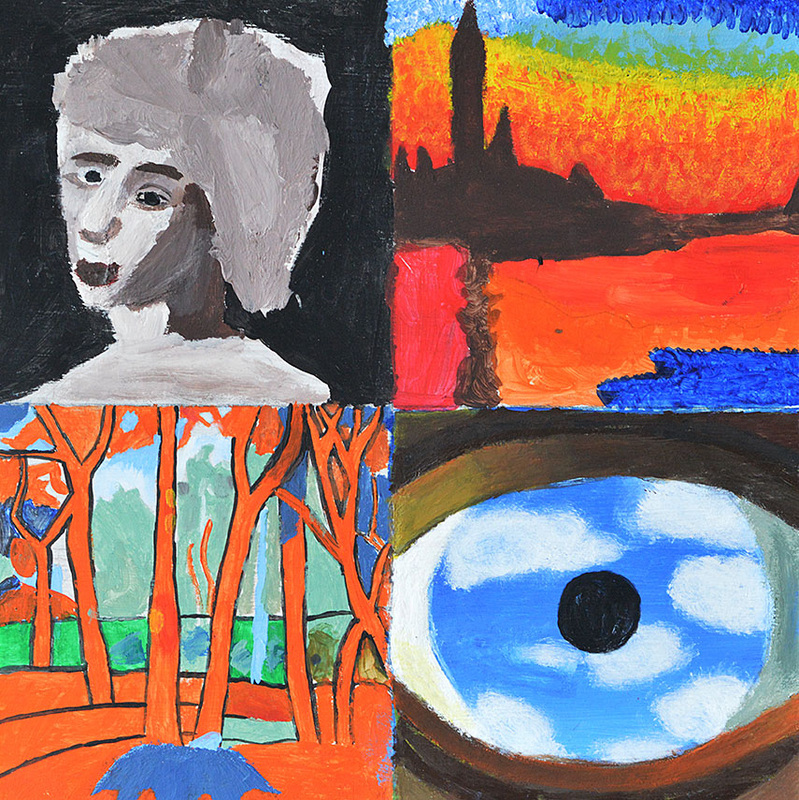 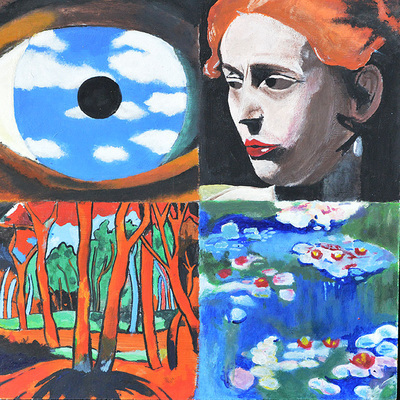 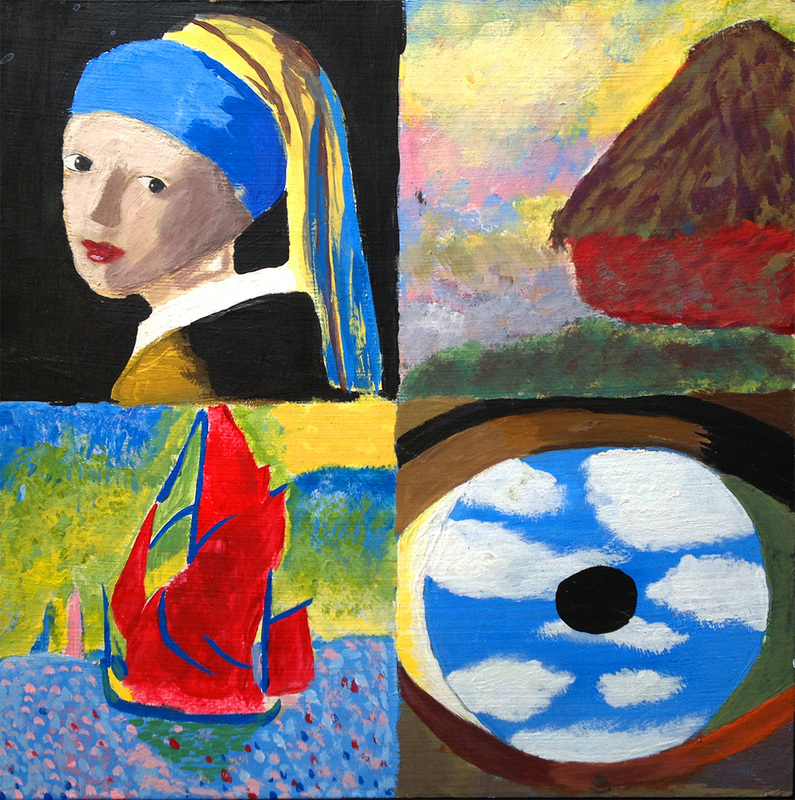 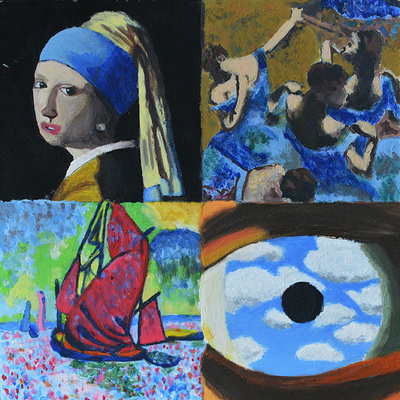 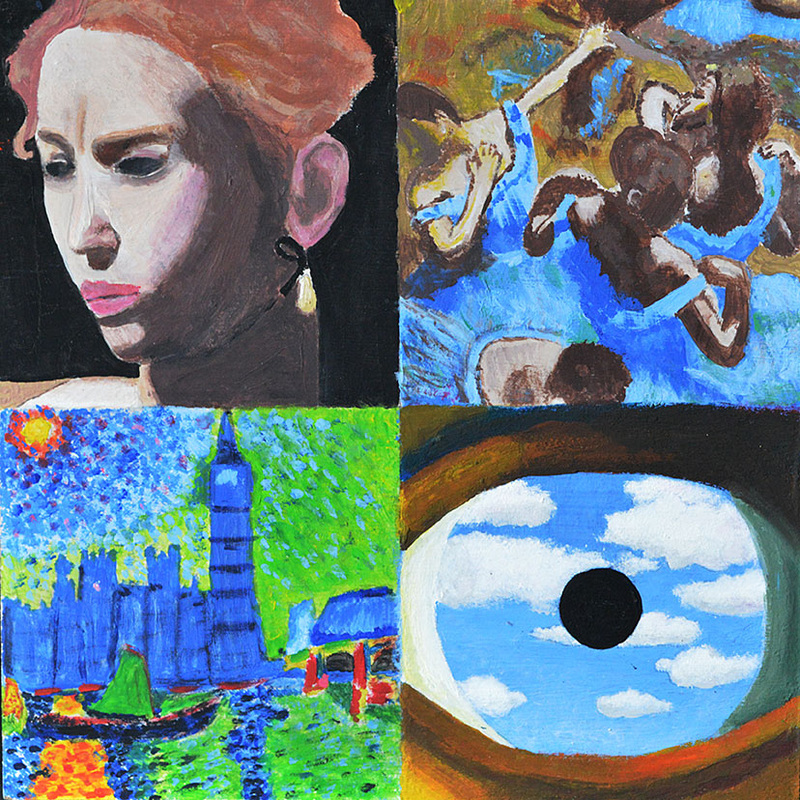 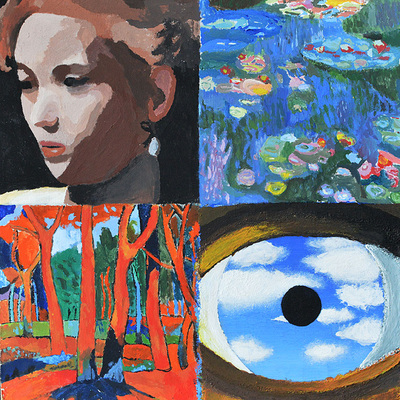 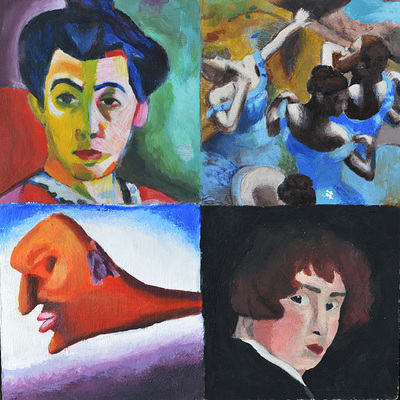 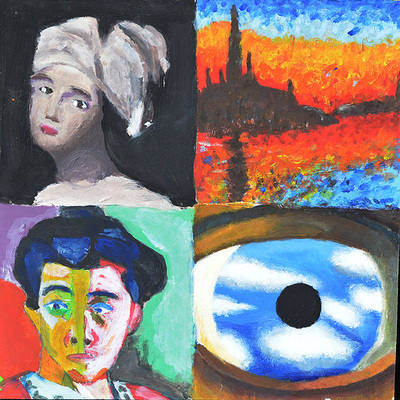 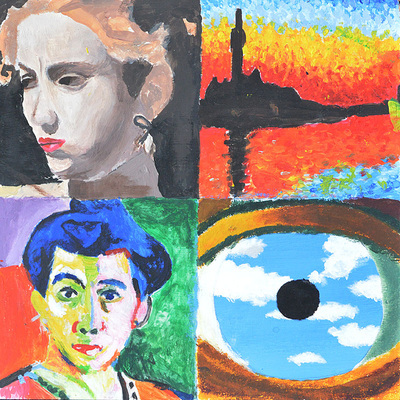 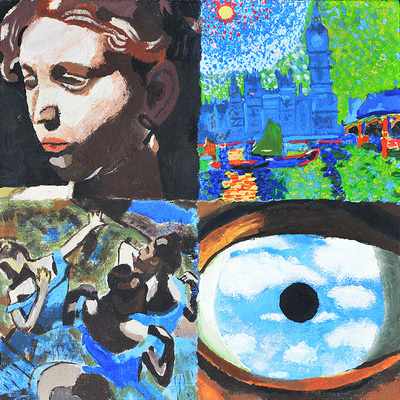 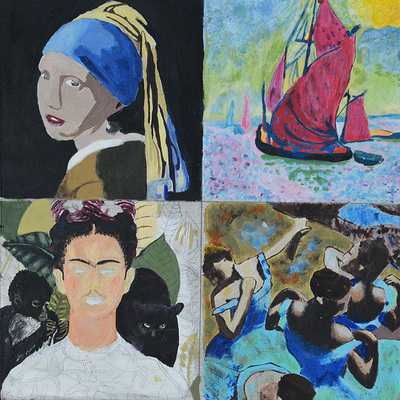 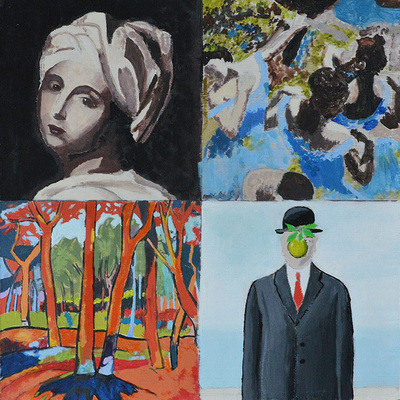 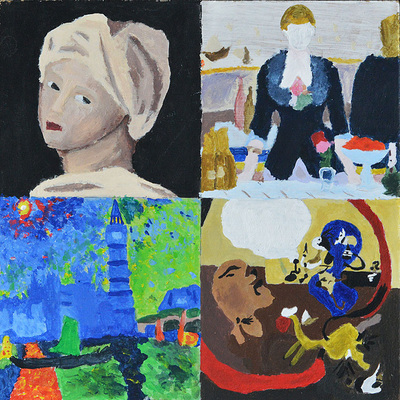 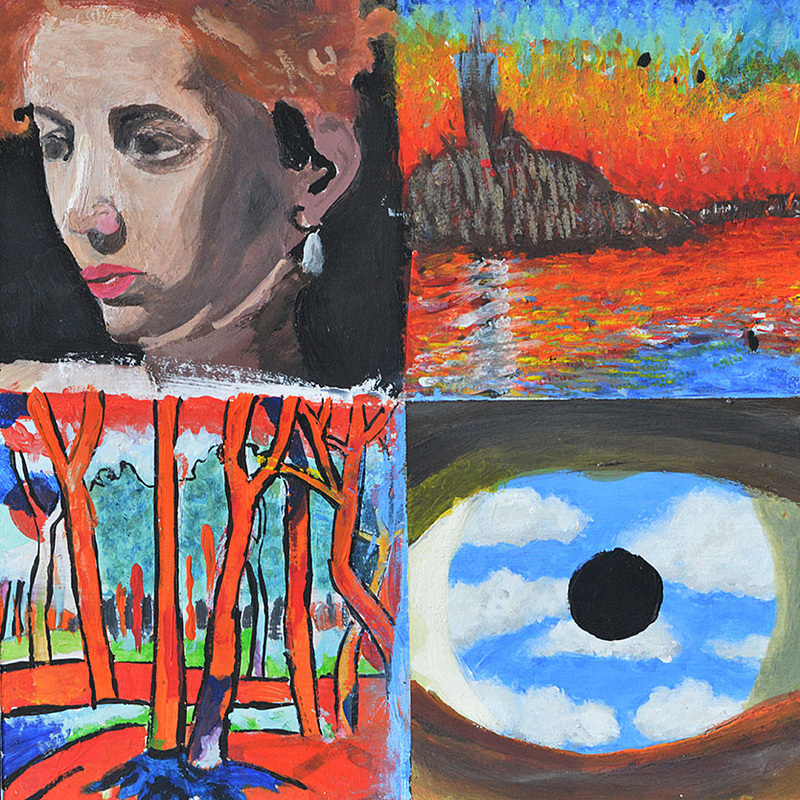 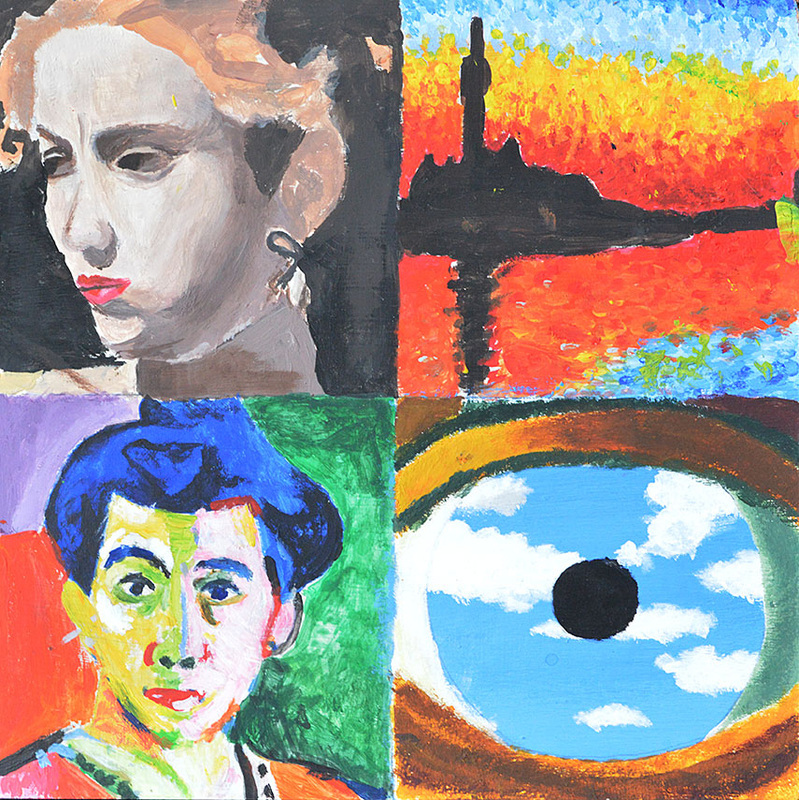 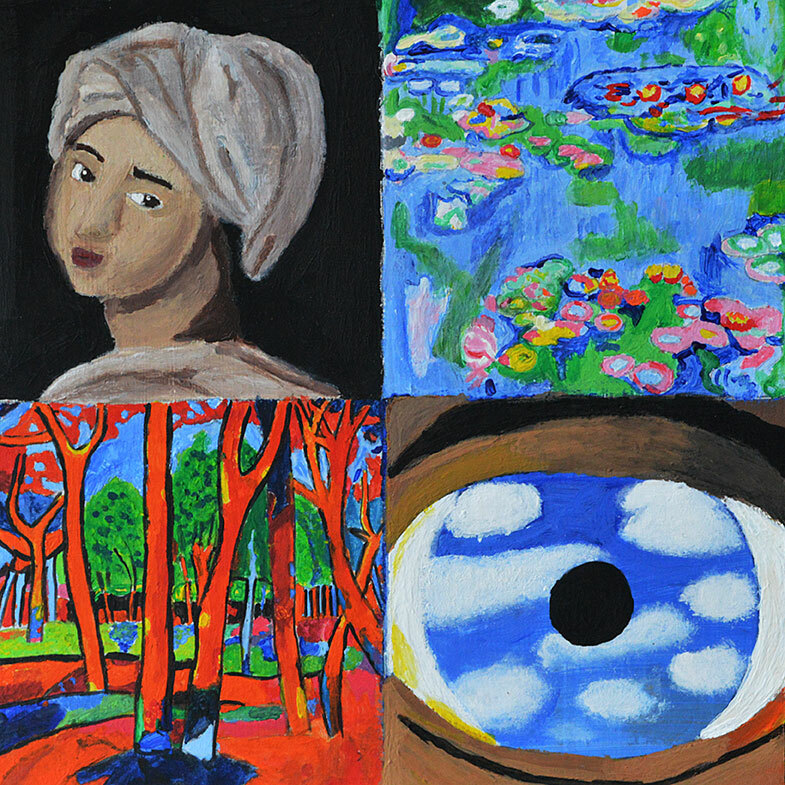 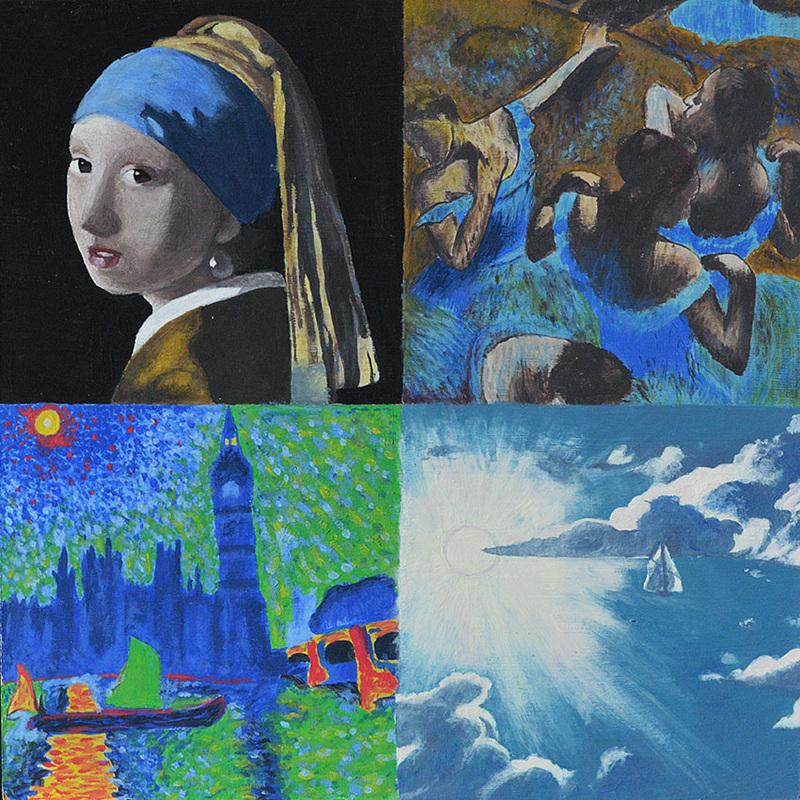 On a canvas board students will create 4 different, equal-sized paintings that utilize the 4 different painting techniques from the Baroque, Impressionist, Favuist and Surrealist art movements. This piece will introduce students to acrylic painting as well as allowing students to expand their skill sets in regards to paint application, blending and color mixing. Learning Intention: We will be learning to apply the painting techniques from 4 different artistic movements onto one finished board. 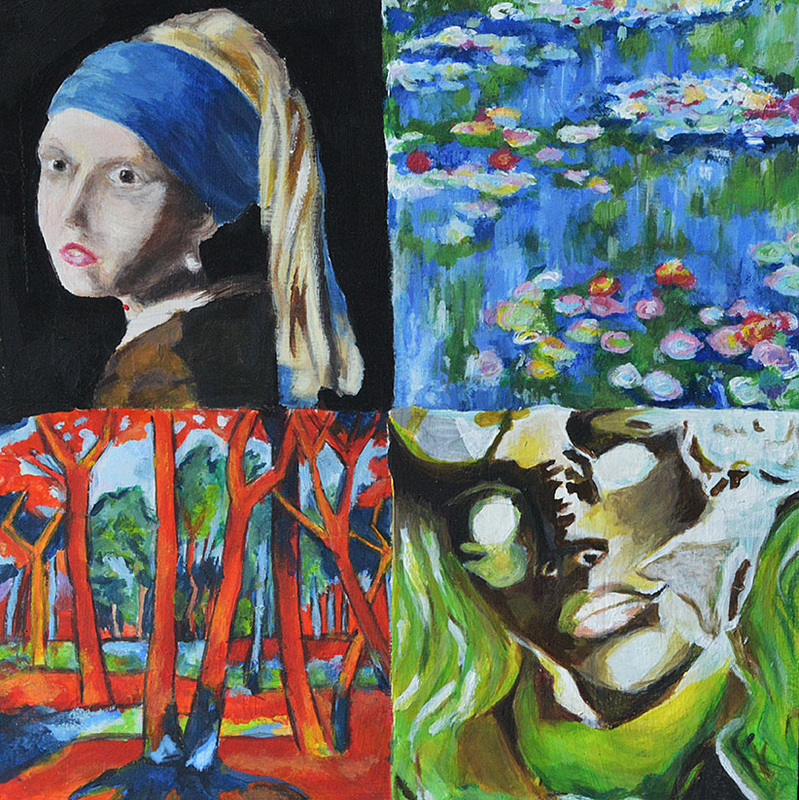 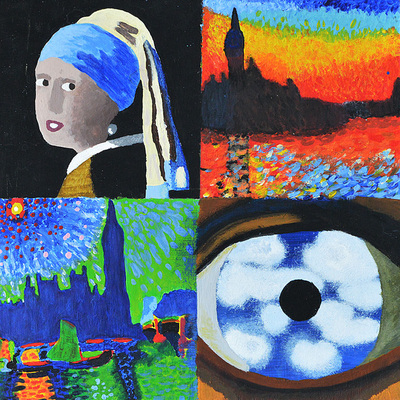 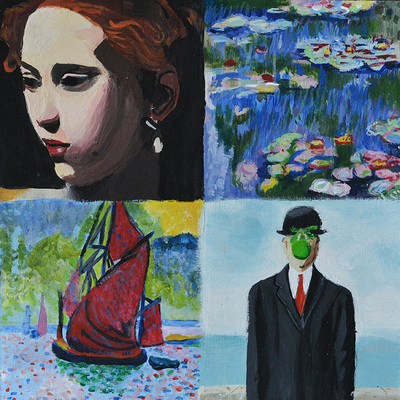 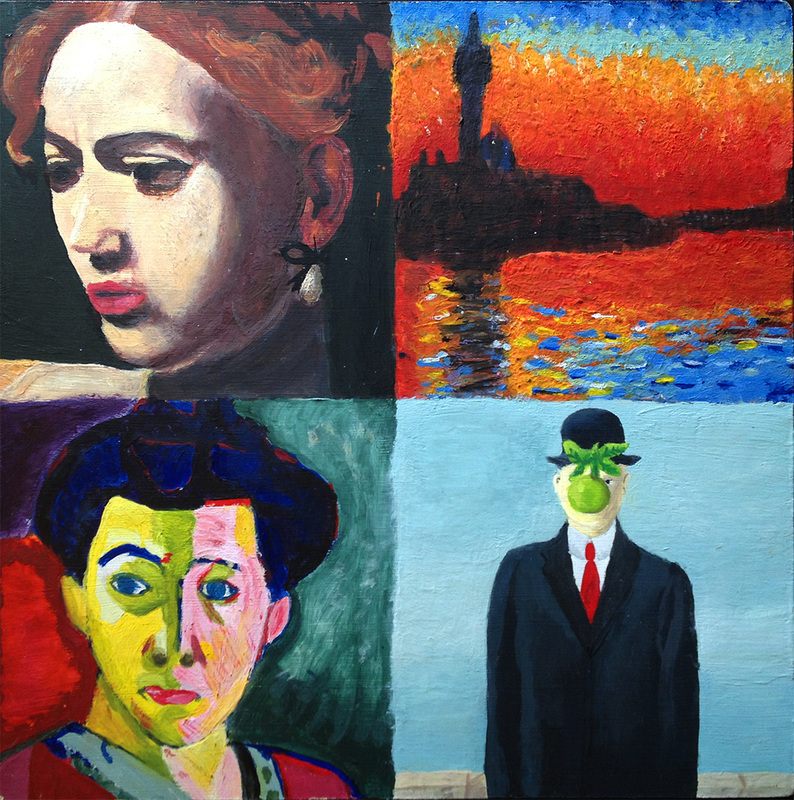 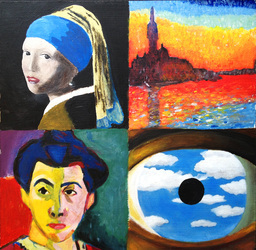 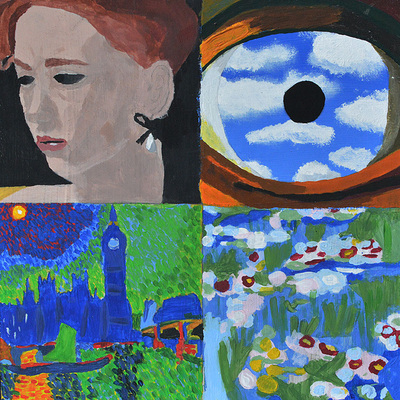 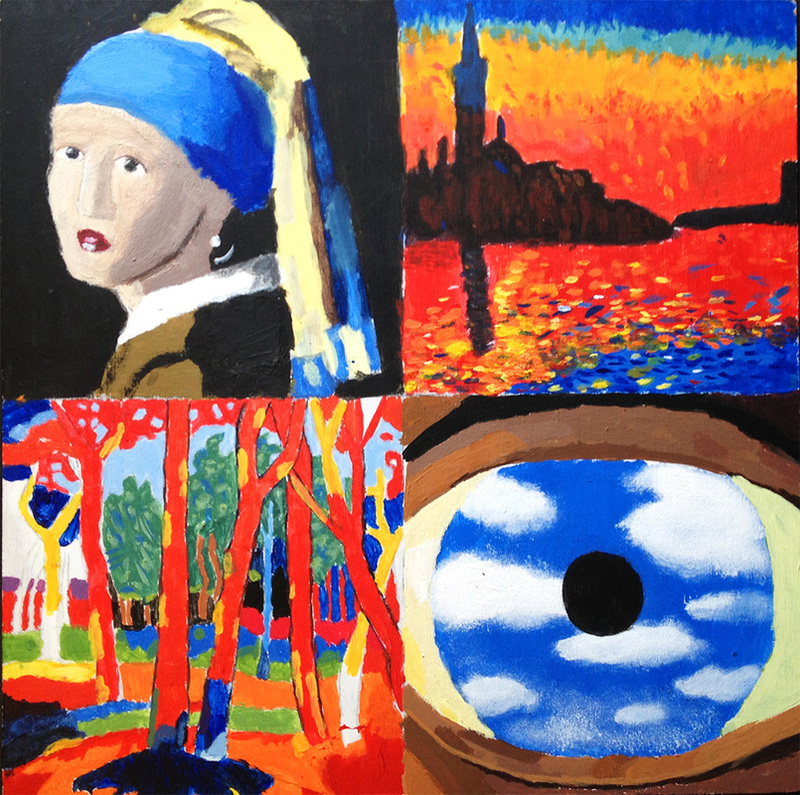 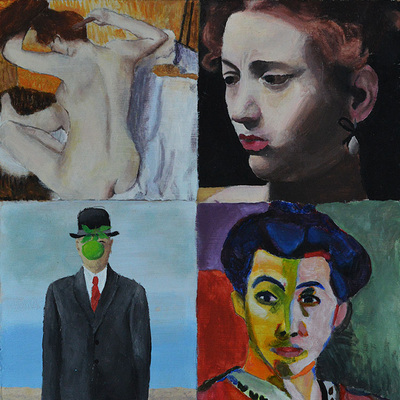 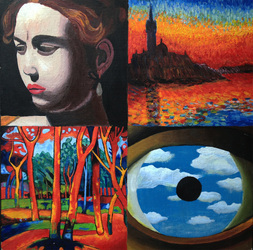 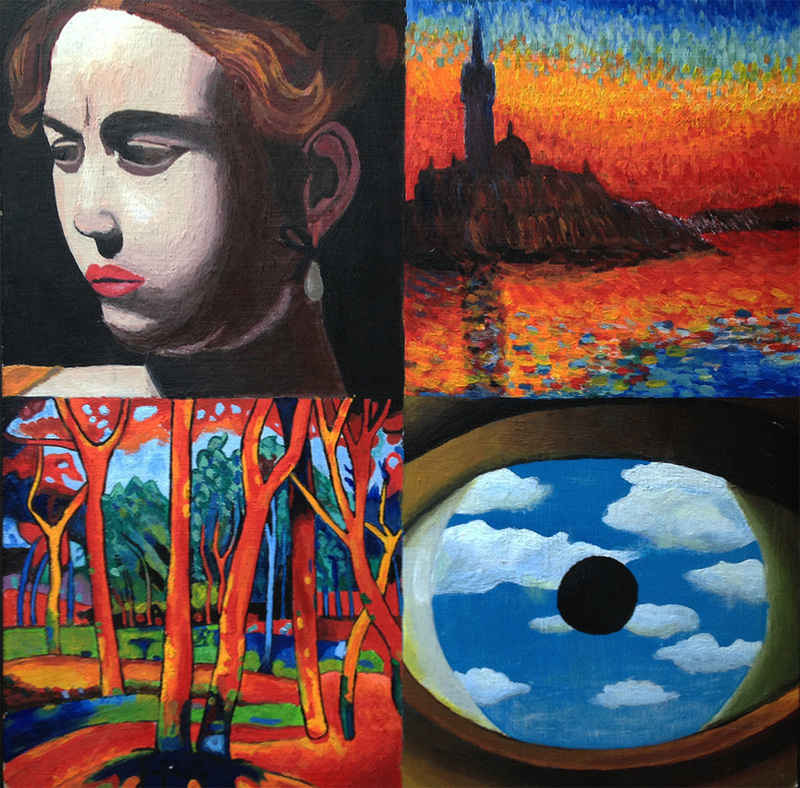 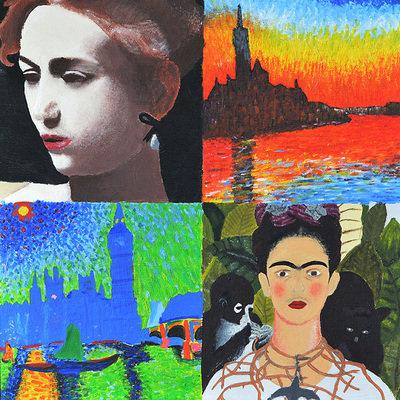 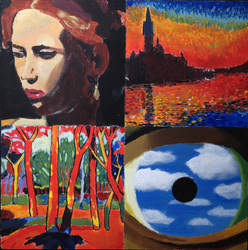 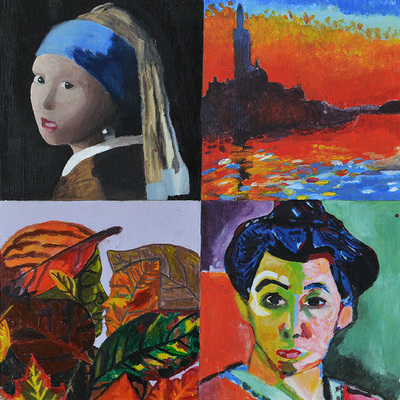 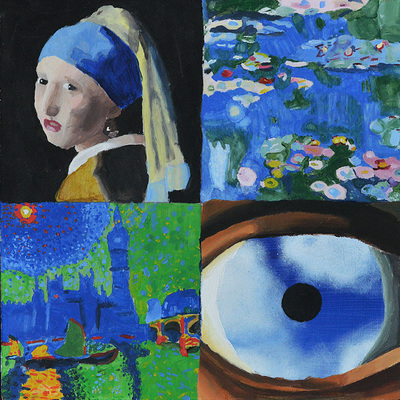 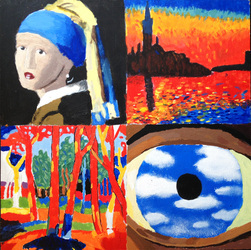 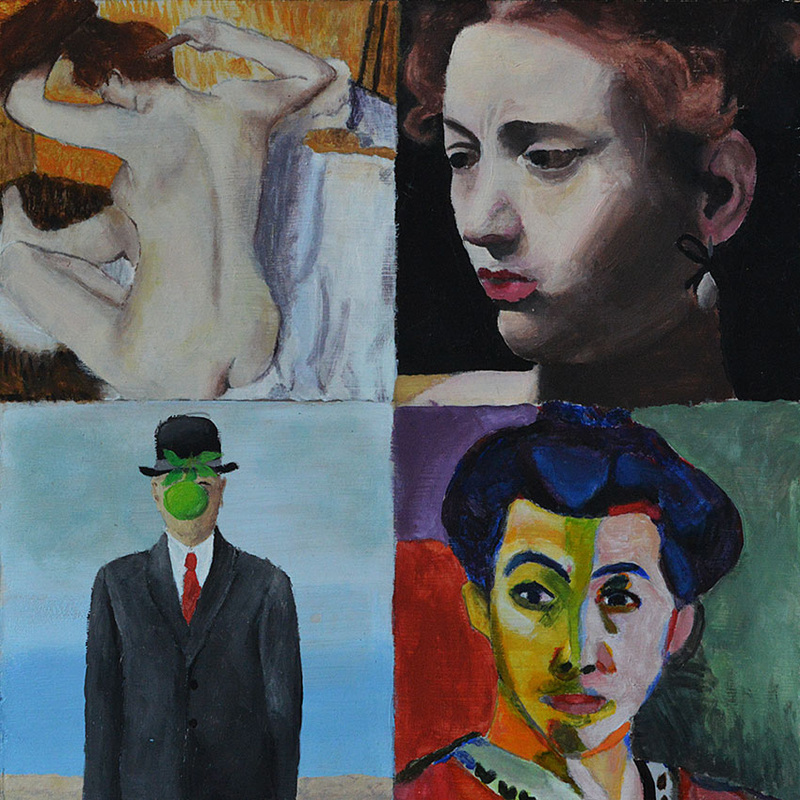 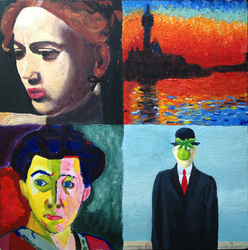 Completed paintings that represent Baroque, Impressionism, Favuism, and Surrealism. 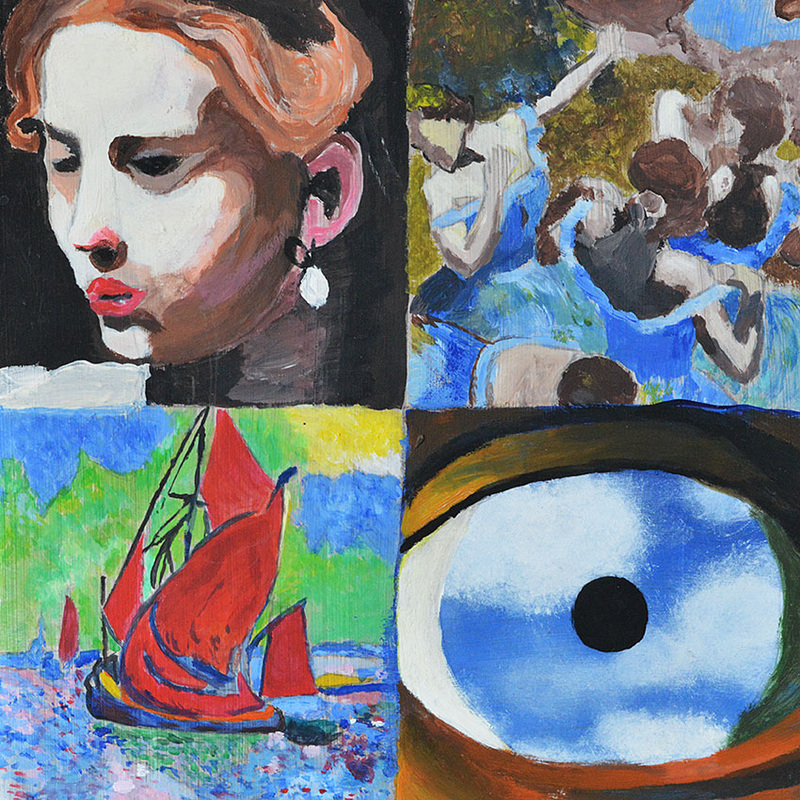 Painting Flesh Tones: Notice that he uses layer upon layer of color to build shadows and highlights. 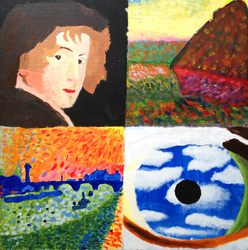 Never does he just try to lay down one color and be done with his work.